built-in blog. 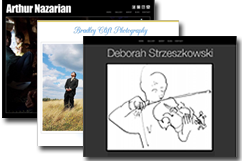 20/20 Portfolio Websites™ are mobile-ready, SEO-friendly and super-easy to edit. 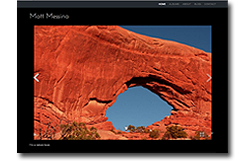 Your images will look equally gorgeous on large HD monitors and smart phone screens. Just upload your best high-resolution image files and our system will automatically resize them for optimal display and fast load times. Make it all about you. Choose the style that suits your brand from a growing selection of elegant themes. If you want even more customization of your look-and-feel, we give you the ability to apply your own custom CSS whenever the mood strikes you. Own your own domain name? You can use that, too. right from your Creative Control Panel™. 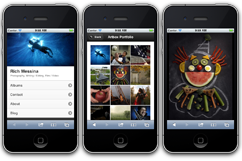 Our system automatically serves up a mobile-optimized version of your portfolio site to viewers on the go. And because 20/20 Portfolio Websites™ are cleanly-designed and Flash-free, they display beautifully on the iPad and other tablets, too. own custom CSS and create your own unique theme. Our easy interface makes it easy to override our styles and use your own. Artbox.com® also has web designers on staff who can help. Contact us to discuss your ideas. for enabling SEO and interaction with social media like Facebook, YouTube and Twitter. Membership in The Creative Force™ helps drive traffic to your website. Track your stats by easily adding Google Analytics and Webmaster Tools to your account. Our simple editing tools give you control over your website — no engineering degree required! 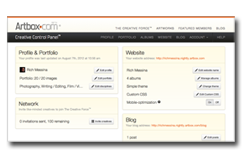 To get you started, your website is pre-filled with the content in your Artbox.com® Profile and Portfolio. Go live instantly with a professional web presence, then add more content to make your very best presentation. Sign up for a free Artbox.com® account and join The Creative Force™. 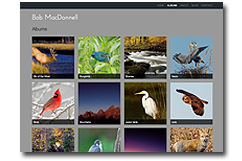 Once you're a member, fill in your Profile and add some images to your Portfolio. The more information you fill in, the better. 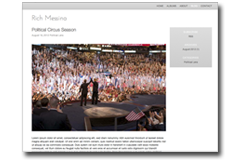 instantly view your new website. 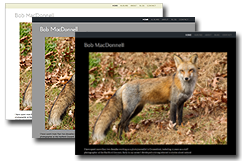 Images featured in the samples above are by Bob MacDonnell, Rich Messina, Arthur Nazarian, Brad Clift and Deborah Strzeszkowski.